We're thrilled to welcome Mike Trinklein, the author of Lost States: True Stories of Texlahoma, Transylvania, and Other States That Never Made It. He's been sharing tales from his book all week. Come back tomorrow for a chance to win a copy! It might seem ludicrous to claim that a proposal to make Cuba into a state had the potential to save the earth—but it's true. 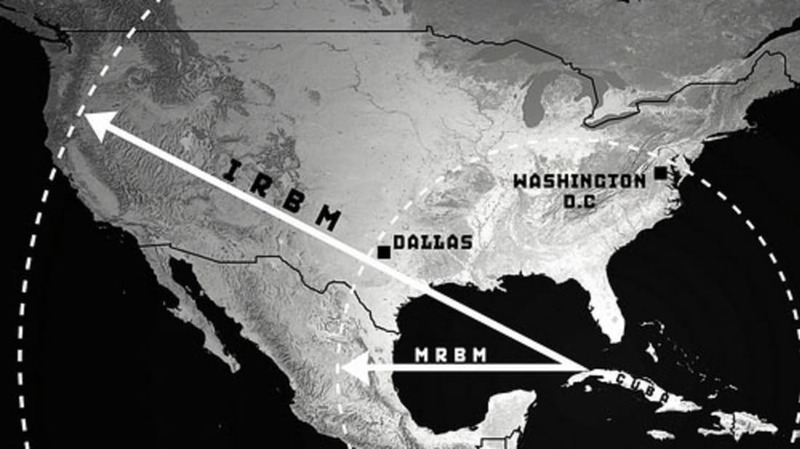 In case you aren't old enough to remember the Cuban Missile Crisis in 1962, here's a primer: The Soviet Union decided to park some nuclear missiles in Cuba and point them at U.S. cities. This was bad—because they could blast the U.S. into the stone age before America had a chance to return the favor. Politicians call this type of thing "destabilizing," but for many Americans, a better word was "panic. " All-out nuclear war seemed very possible. Thankfully, President Kennedy deftly defused the situation, and the Soviets removed their missiles from Cuba. Everyone exhaled. But we wouldn't have come to the brink of annihilation if an earlier statehood proposal had taken root. Specifically, a few decades earlier, many influential Americans suggested making Cuba a state. Even then, Cuba's proximity to the United States was understood as important to America's national defense. (Cuba is so close to Florida that certain Olympians could actually swim from one coast to the other). Nonetheless, it appears racism was the primary reason Cuba did not enter the Union in 1902. And that brings us to 1962. If Cuba had been American soil, there would have been no Cuban Missile Crisis—one less near-death experience for the planet. Today, in the post-Castro world, statehood has been raised once again. A 1998 Time article makes a compelling case—Cuba has great beaches, and lots of pent-up consumer demand. The idea actually has a lot of support in the American business community. And just imagine a Major League Baseball franchise in Havana.